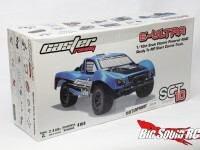 Caster Racing « Big Squid RC – RC Car and Truck News, Reviews, Videos, and More! You are browsing the "Caster Racing" category archive. Caster Racing Short Course Teaser! Caster Racing have sent us a very small teaser picture of what looks like a short course truck! We’ve been told that it will be based on their 4wd buggy platform, so option parts will be plentiful. ZOMGWTFBBQ We’re looking forward to the release!Keep an eye on the Caster Racing website for more details. Caster Racing Has a New 1/8 Scale Electric Buggy On The Way! 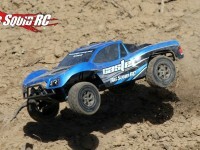 Word on the street says Caster Racing USA has a new Fusion 1/8 Scale Electric Buggy on the way called the 748. Look for more details on this thing by the weekend! Caster Racing – Fusion EX-1 Electric Buggy Review!